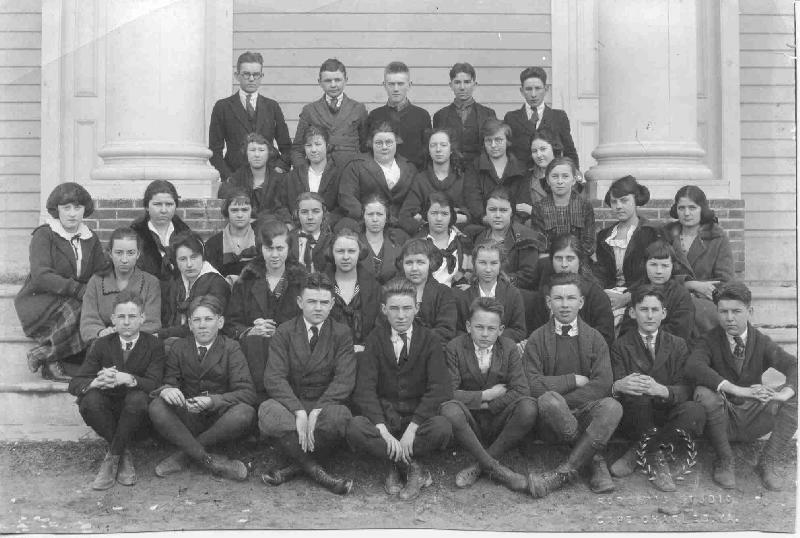 Photo taken on the auditorium steps of the OLD Accomac School before the brick one was built. That building (the auditorium) then became the gymnasium. Elizabeth (Clampitt) Dukes, is second from left on second row from the bottom. Hayden Russell (oldest son of the Charles F. Russell who built the Whispering Pines) is fifth from left on the bottom row. They lived in Greenbush at that time. See a larger view of this photo.